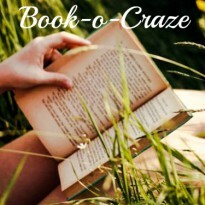 Originally posted on Book-o-Craze, on a tour hosted by Bewitching Book Tours. I read this short story as part of a review I wanted to write for a blog event! It is the prequel of The Kingdom of Chalvaren series! And, my only regret is that I only picked the prequel to read in order for a review to be up, and not the actual first novel in the series, as well! This was short, but also, hot, steamy, with lots of chemistry between the two characters, and a lot of events taking place in only -less than- 40 pages! There were dragons, amazing ones that could tell between the good and the bad people -and eat the second-, and an enraged village coming to blame an innocent young girl for something she had no idea about! When the Elf Prince arrives to find the dragon, he ends up not only rescuing the girl, but doing so much more! I loved the sweet, innocent heroine, the brave and strong Elf Prince, and I even loved the little village girl that rushed to warn her friend of the impending threat, in spite of the danger she put herself into. I found myself anxious to actually start reading the first installment in the series, in order to see what other adventures await the heroes! All in all, 4,5 stars to this prequel, because it was a short, but very enjoyable, teaser for the actual series!